With equities closing moderately higher, the VIX remained in cooling mode, although was briefly positive (intra high 26.31), settling -1.8% @ 25.61 (intra low 23.45). Near term outlook is for renewed equity strength to at least sp'2000.. and that should equate to VIX 20/19. 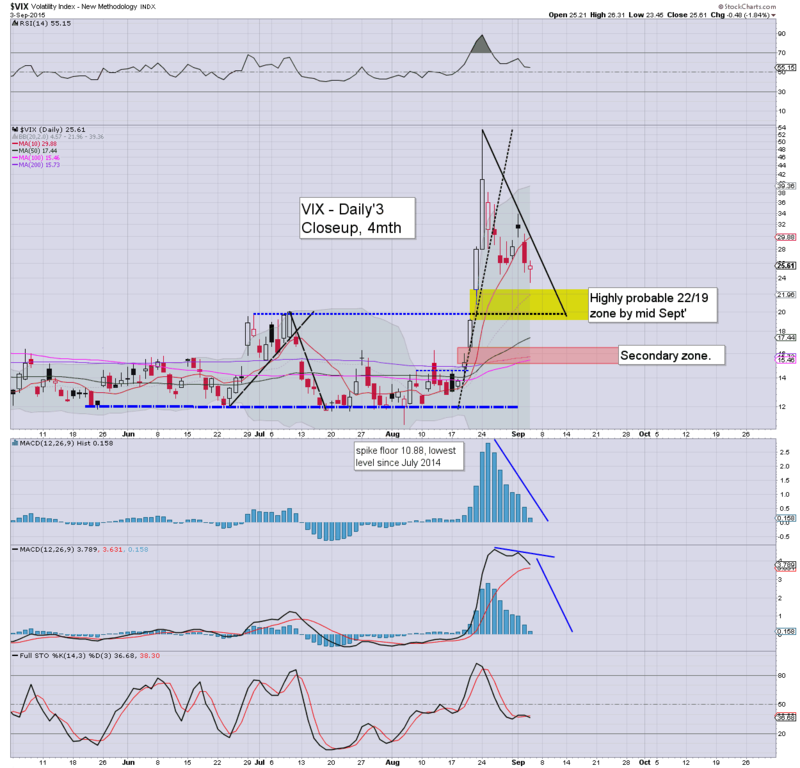 VIX remains cooling from last Monday's hyper spike of 53.29. 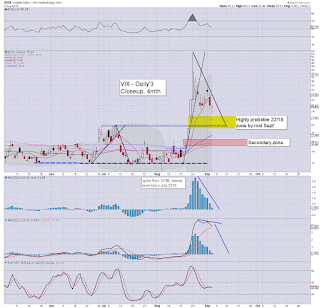 If sp'2000 next week, then VIX is likely to at least test the 20 threshod. 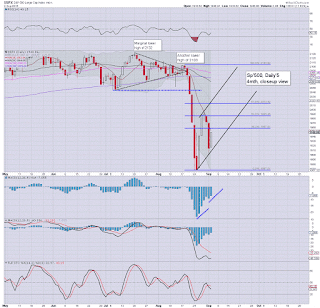 It was a day of swings for US equities, with the sp'500 settling +2pts @ 1951 (range 1975/1944). The two leaders - Trans/R2K, settled +0.1% and -0.1% respectively. Near term outlook is for continued upside.. at least to test the psy' level of 2000 next week. *closing hour.. moderate chop... and despite a new intra low of sp'1944, this was certainly nothing for the equity bears to get overly excited about. A somewhat tiresome day... so this needs to be short! Suffice to say.. opening gains - as inspired by Draghi.. then a natural wave lower to the 1950 threshold. No doubt a fair few bulls were twitchy this afternoon, but all things considered, the broader upward trend from sp'1867 is comfortably intact, and we're set for the sp'2000s next week. 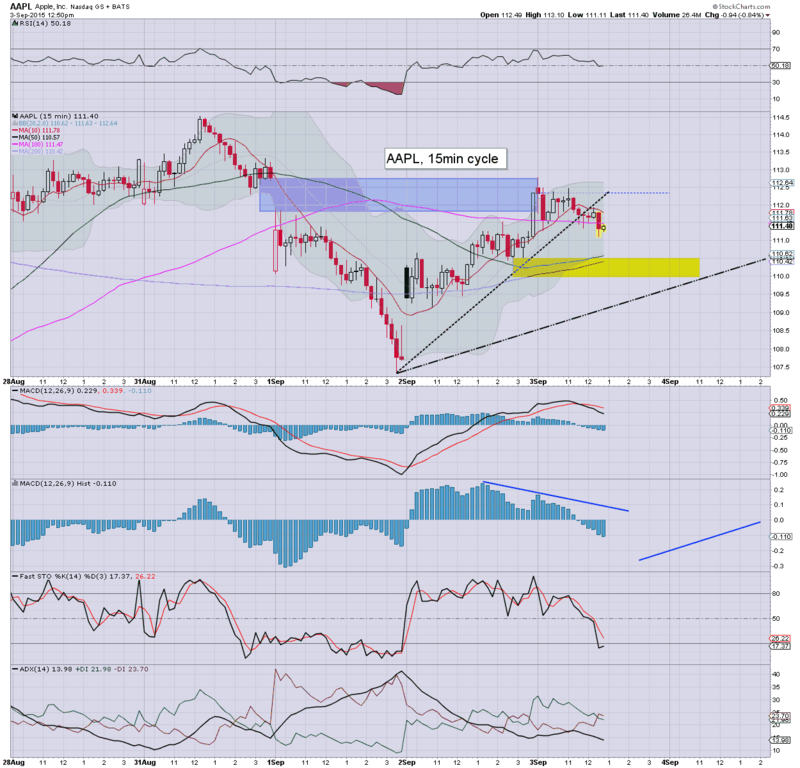 *I hold a micro long-AAPL position overnight.. seeking an exit in the 112/113s tomorrow. Having cooled from a morning high of sp'1975 to 1947, equities are set for moderate upside into the close, ahead of the monthly jobs data (Fri' 8.30am EST). 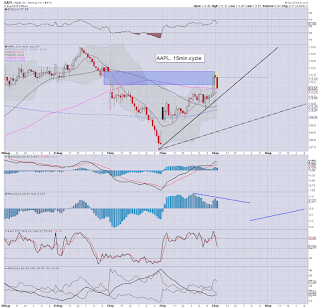 Broadly, last week's high of 1993 remains first target, with the 2010/50 zone viable into FOMC week. Watched the Trump earlier on clown finance TV... I'm really not sure the American people are ready.. or even deserve such a straight talking leader. Make of that... what you will. I am long AAPL from $110.16, it is a micro position and I'll sleep better for it tonight. With a little luck, I'll be able to drop in the $112s at the open.. if not... I can hold. Not so much ESP.. as EXP... as in experience. 3.40pm... sp'1944... ... ohh, and I can hear the bearish hysteria now.... after all.. we're going to crash from here.. yes? 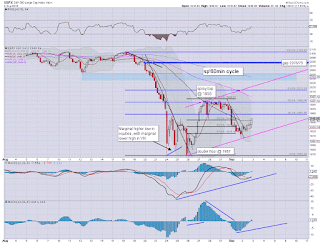 From a pure cyclical perspective, the setup favours the bulls across tomorrow. US equities are well into the process of attempting to build a floor from the soft threshold of sp'1950. The monthly jobs data certainly offers further uncertainty into tomorrow, but broadly.. the market still looks due further upside into next week.... and quite possibly FOMC week itself. Interesting day.. and one where many will feel like they are back in the washing machine on spin cycle. Market should be able to churn sideways for the rest of today. Yours truly is looking at AAPL, now $2 lower than my opening exit. Frankly... 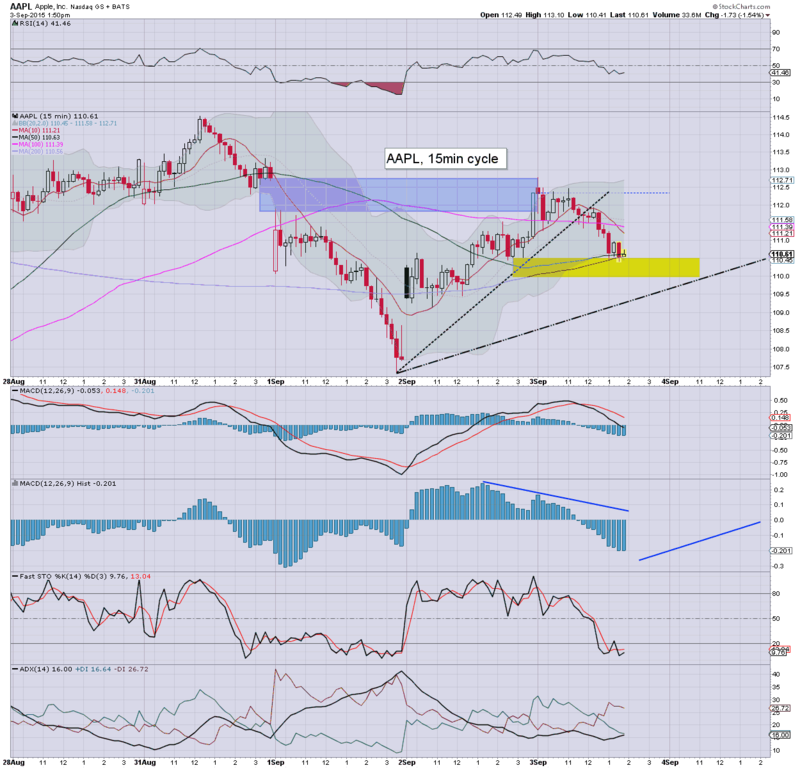 I'm not particularly in the mood for another trade today.. not least ahead of the jobs data... and a long weekend. ... but hey... I might change my mind. 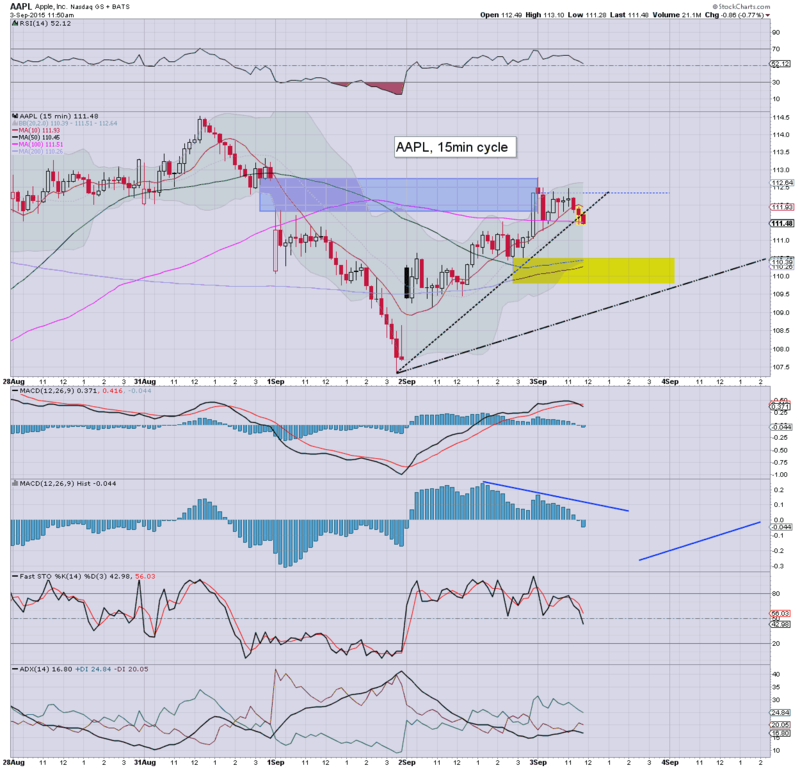 2.09pm LONG-AAPL, from $110.16... with sp'1950. It is a small position.. barely half of what I held this morning... I remain in 'trading light' mode... but I do see renewed upside from here. So.. I'm back in.. again.. will hold overnight. 2.20pm.. chop chop.. and we're approaching the afternoon turn time of 2.30pm... a little upside into the close would be natural... somewhere 1955/60 zone... with VIX 24s. 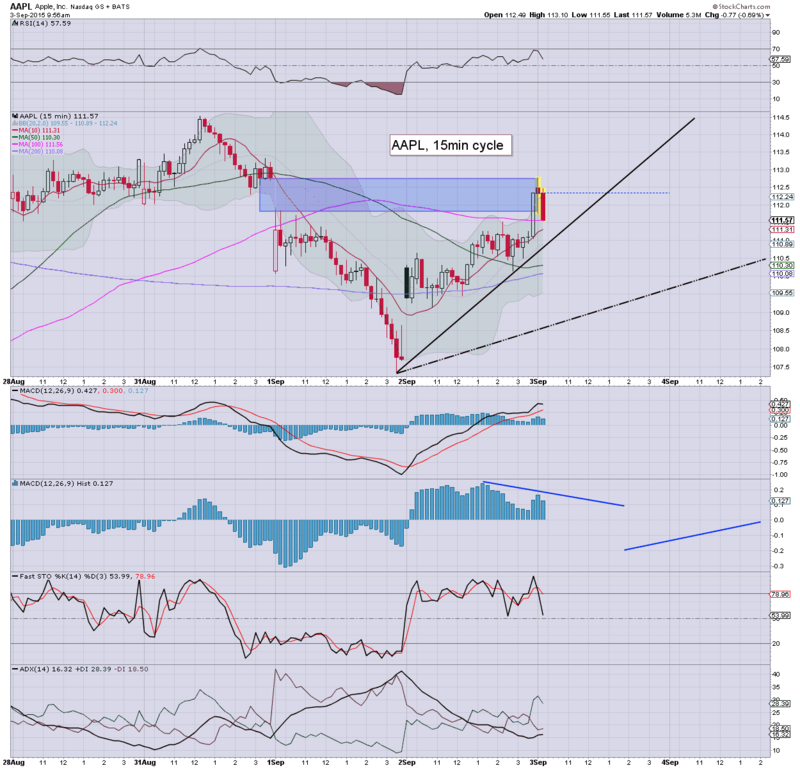 2.32pm.. well, its turn time.. sp'1954... VIX back to negative.. AAPL 100.70s... which is already rather good to see. The 111s by the close would bode well for Friday. US equities continue to slowly cool from the morning high of sp'1975. There are a number of aspects of support around 1950, and the market should stabilise in the 2pm hour. 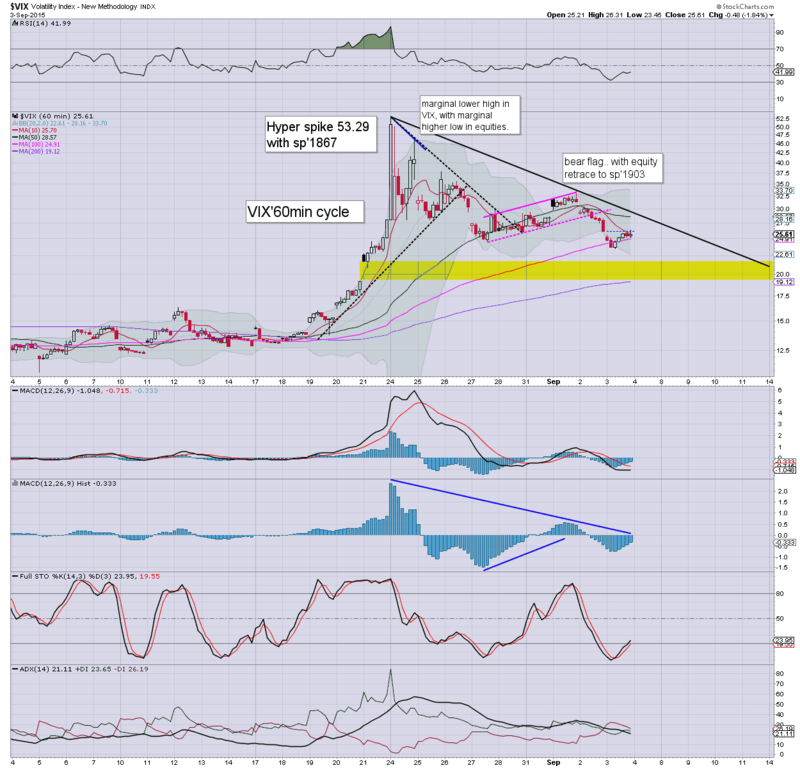 VIX is threatening to turn briefly positive... but broader target remains 22/19..and its notable that we did see 23.45 today. No doubt a fair few of the bull maniacs are getting increasingly unsettled as most of the US indexes look set to turn fractionally negative. 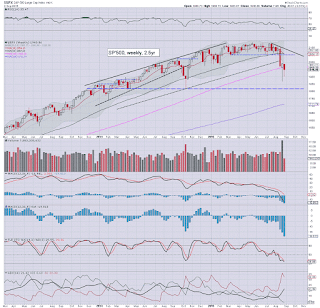 With the big monthly jobs data tomorrow.. equity bears face the real threat of renewed upside into the weekly close. The mid/low $110s will be tempting. 1.10pm.. Well, AAPL is around $1.80 lower than my early exit. Its interesting.. but no sign of leveling out yet. sp'1952... bulls will be getting twitchy about now. 1.16pm.. Market offering an initial floor @ 1950. Its kinda funny really. US equities are cooling from a morning high of sp'1975. 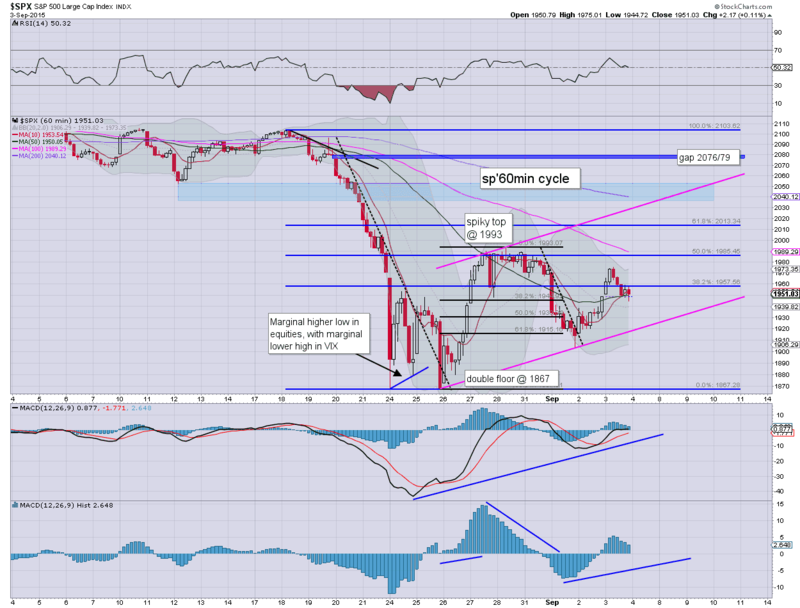 Considering the 15/60min cycles.. fractionally red indexes are possible... leading into the Friday jobs data. No doubt some bulls are getting unsettled, but the broader upward trend into next week remains intact. Without getting lost in the minor noise.. its likely just another little down wave.. even if we see the sp' turn negative this afternoon. The $110.25/109.75s would be tempting for another long-entry.. although ahead of the long weekend, I'm not especially inclined. VIX update from Mr R.
What should be clear.. regardless of any sporadic down waves... this is no market to be short right now. 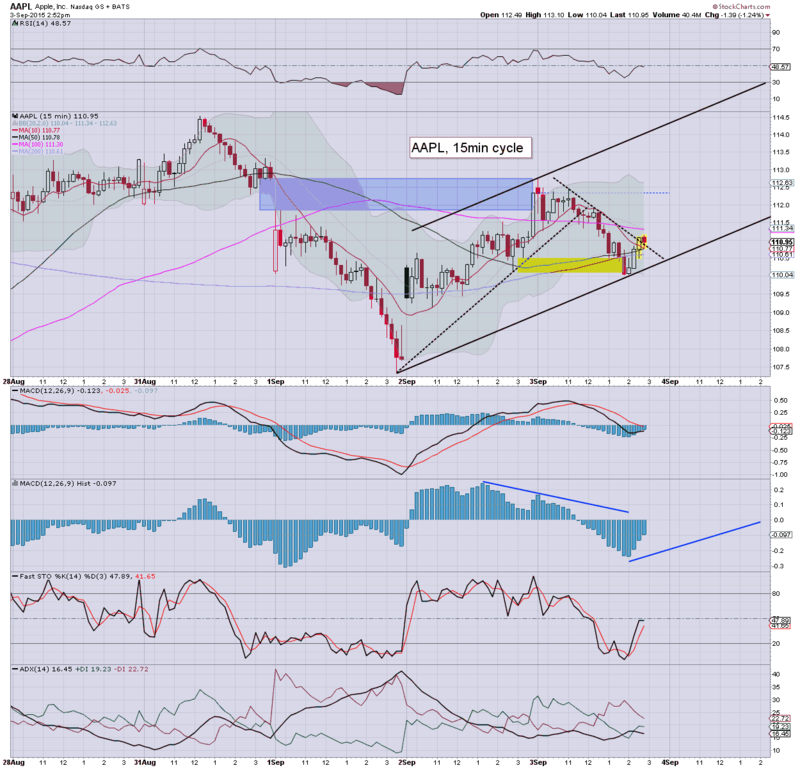 AAPL is struggling relative to the main market. 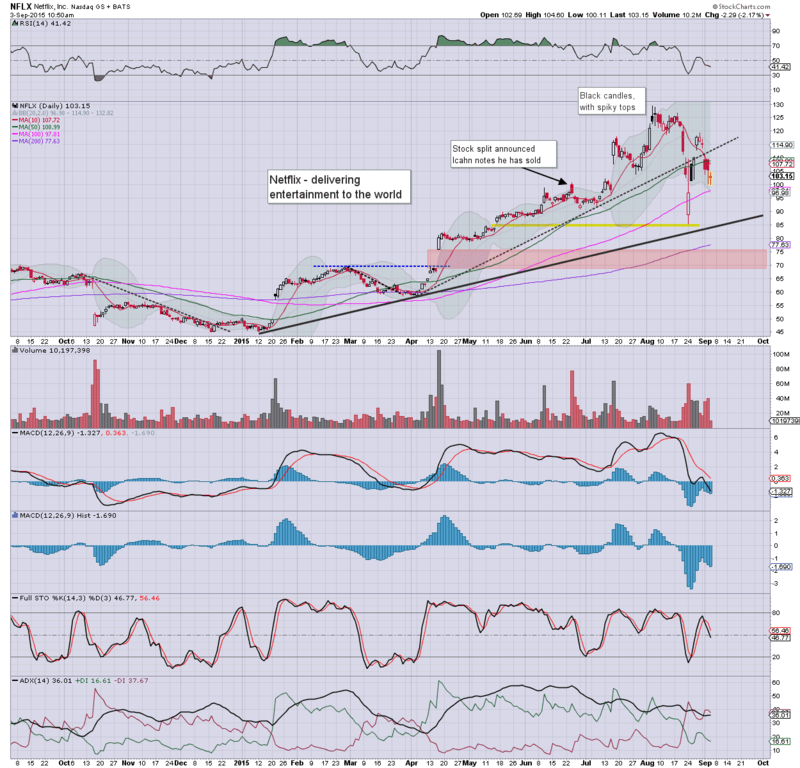 ... although nowhere near as bad as NFLX.. there are real problems in that stock this week. 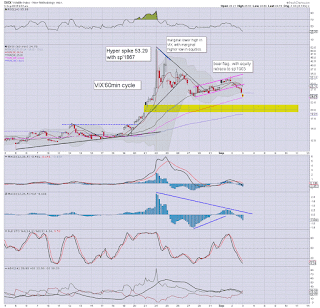 Note the flash-print to the $85 gap zone... with an even lower target for next equity down wave. special note... at the current rate of increase, the daily MACD cycle for the sp'500 will turn positive late tomorrow/early Tuesday. At that point, there is a viable 3-5 days of 'likely upside'... if with the occasional moderate down day. 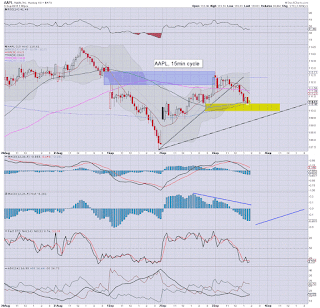 It is why I am looking to hold off on market shorts until FOMC week itself. I see no hurry right now... not least with a long weekend ahead. 11.16am.. Market due a down wave into 2pm... from sp'1975. AAPL remains especially weak... the 110s look viable. I shall consider that. Clearly, a break under the 1903 low would be a critical warning, but I really don't see that as viable. 11.41am.. Just another natural micro down wave.... and no doubt.. some of the bulls are getting a little unsettled. 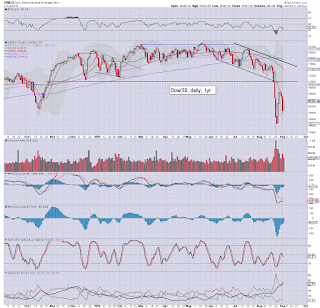 US equities open moderately higher, with the sp +15pts @ 1964. VIX continues to cool, -5% in the 24.70s. Regardless of any sporadic micro down waves, the broader trend looks bullish beyond the 3 day holiday weekend.. and probably into FOMC week. So... the second day higher... with VIX well on the way to the low 20s. All things considered... we're another day closer to a viable market crash... and I don't use the C word lightly. Anyway.. first things first... we've an FOMC to get through.. in TWO weeks time. I would consider picking up again in the 111.25/110s.. but not until 2pm. If it keeps rising... I'll just sit back.. and watch. 10.06am.. notable weakness. 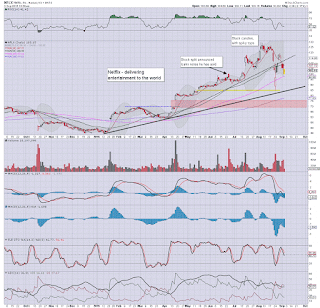 NFLX -4.3% @ $100... a loss of 100 would be a real problem. Good morning. Equity futures are moderately higher, sp +7pts, we're set to open at 1955. 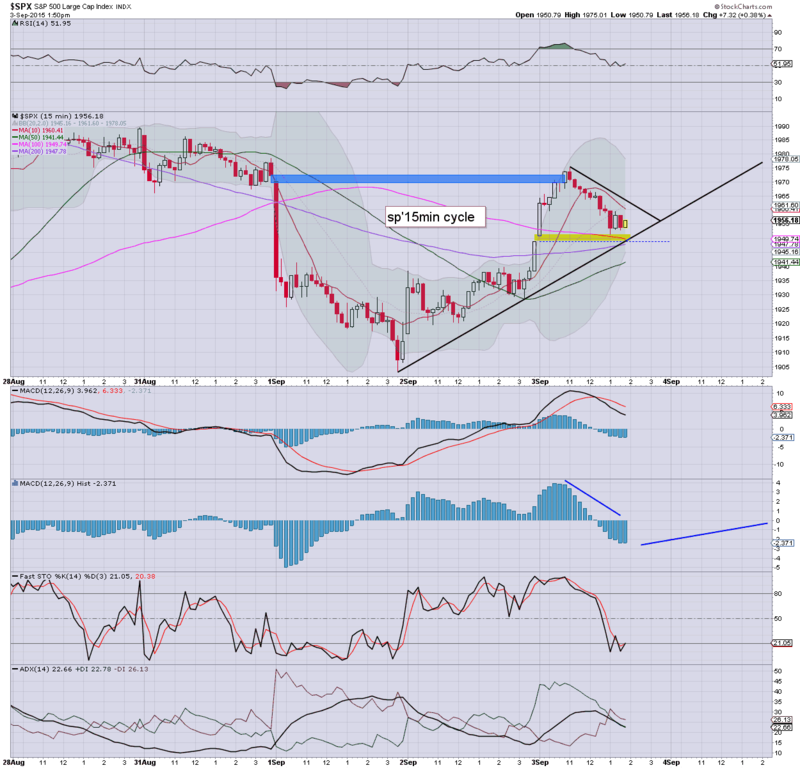 Continued upside looks due into next week... at least to test the big psy' level of 2000. Metals and Oil are both starting the day moderately weak. 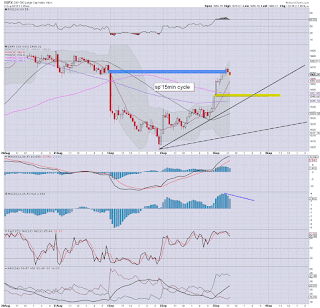 So.. we're set to open somewhat higher, The hourly cycle is offering the 1980s in the immediate term... and that certainly seems viable by the weekend... if the market sees the monthly jobs as 'Goldilocks'. 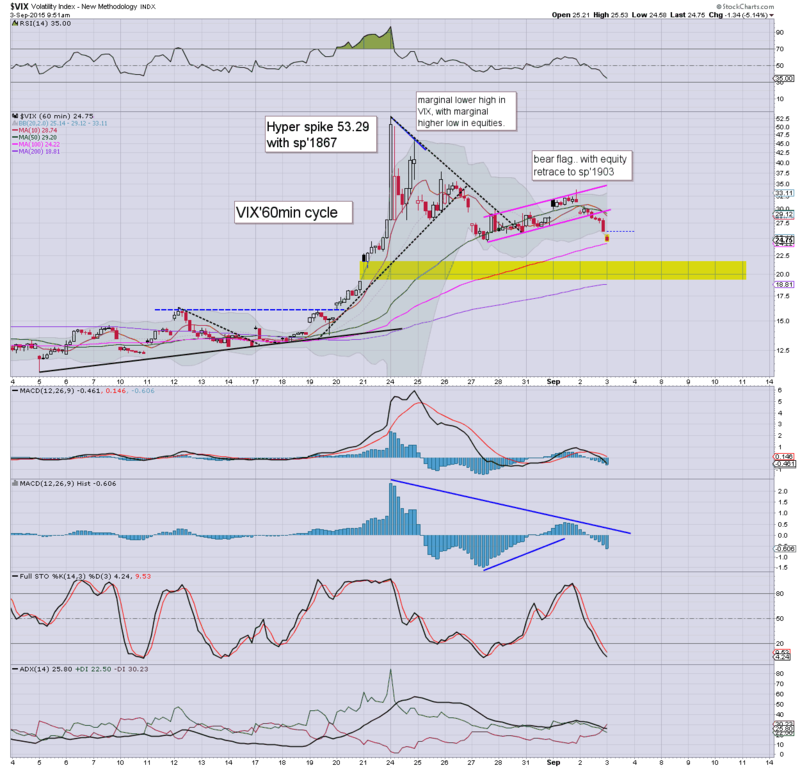 I realise some out there are seeking renewed equity downside in the near term - not least after the Tuesday train wreck, but I remain of the view we're forming a giant wave'2 /bear flag. In theory, the current wave from 1903 could continue upward into FOMC week, and by then.. we could be as high as 2050 or so. For now... I won't short this market... and will merely continue with moderately sized long positions. I'd like to exit AAPL in the 114s today... that seems possible. 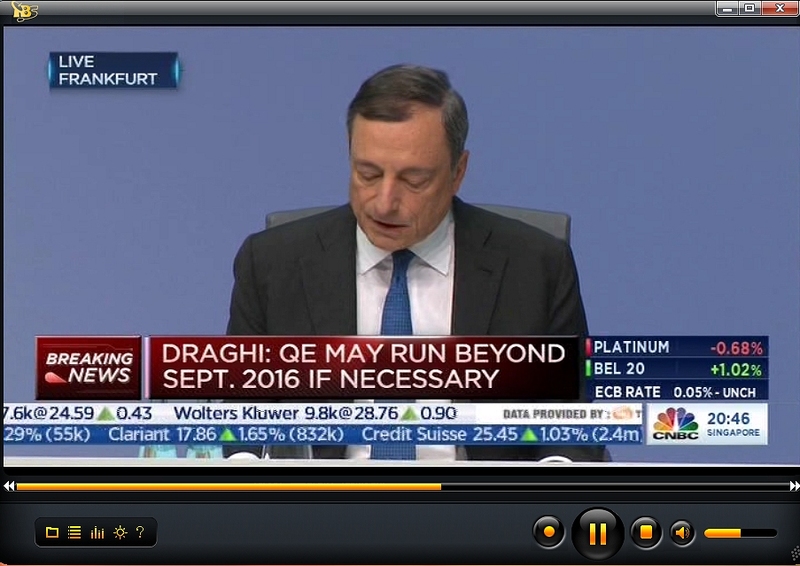 *Draghi will have a press conf' in the 8am hour... market will be carefully listening. 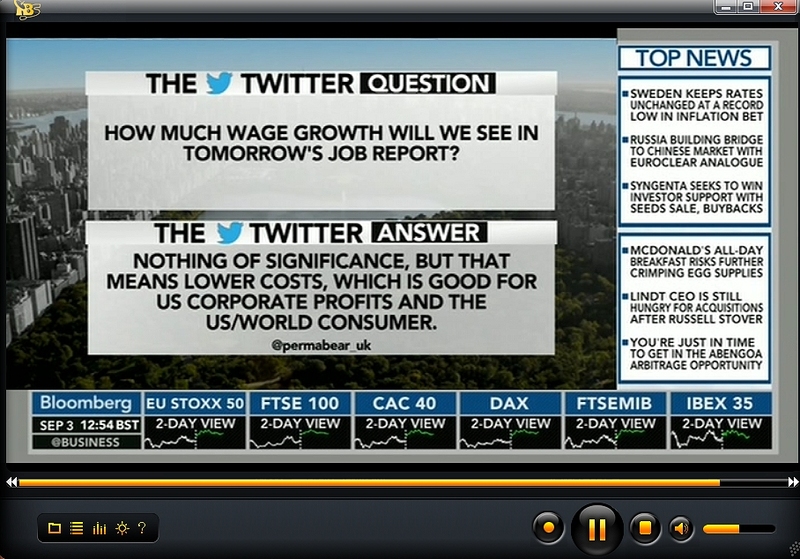 Coming up... Mr Draghi... jobs data.... and probably some more equity upside. 8.31am.. weekly jobs.. 282k... inline.... remaining 'broadly low'... relative to what the data tries to reflect. 8.45am.. Broadly. 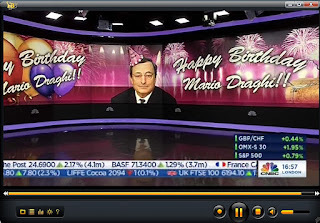 Draghi is placating the market... with most EU indexes higher by 1.5%. 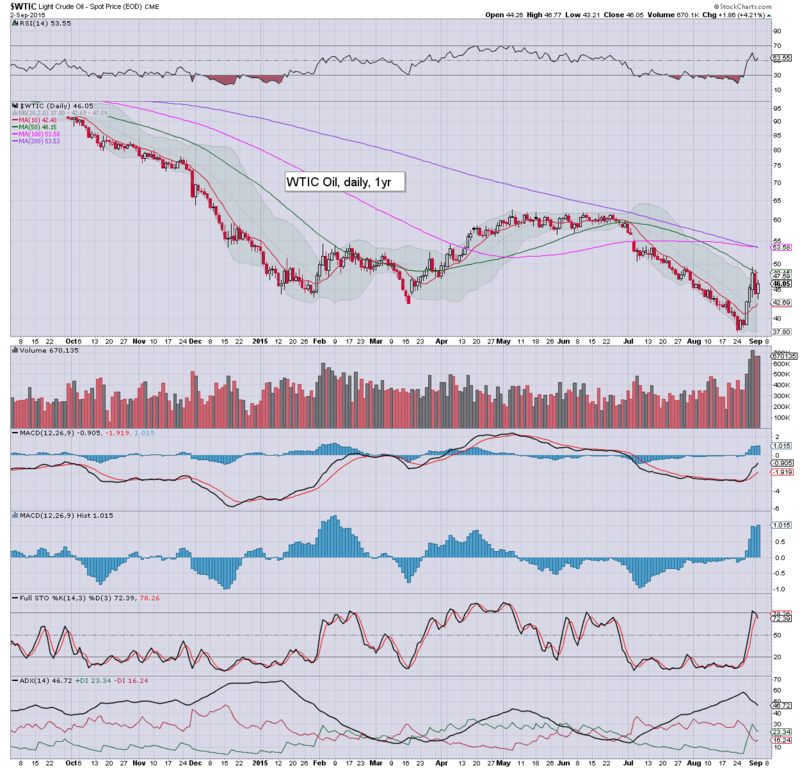 With USD on the rise, metals are weak, Gold -$10. Naturally, the equity market likes to see that sort of headline. 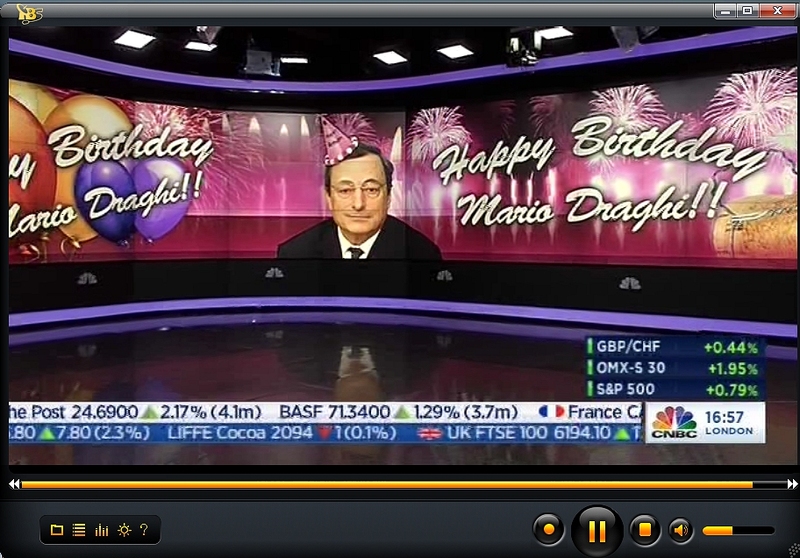 9.29am.. in more important news... its Draghi's 68th birthday. 9.41am.. EXITED AAPL-long @ 112.55. The smaller 5/15min cycles are a little stretched. and early action is not exactly inspiring me to hold. .. I'm just a little concerned that we'll see a moderate wave lower into the afternoon.. to 111/110s. Anyway.. its third consecutive AAPL gain (1 short, 2 long)... so, thats okay. 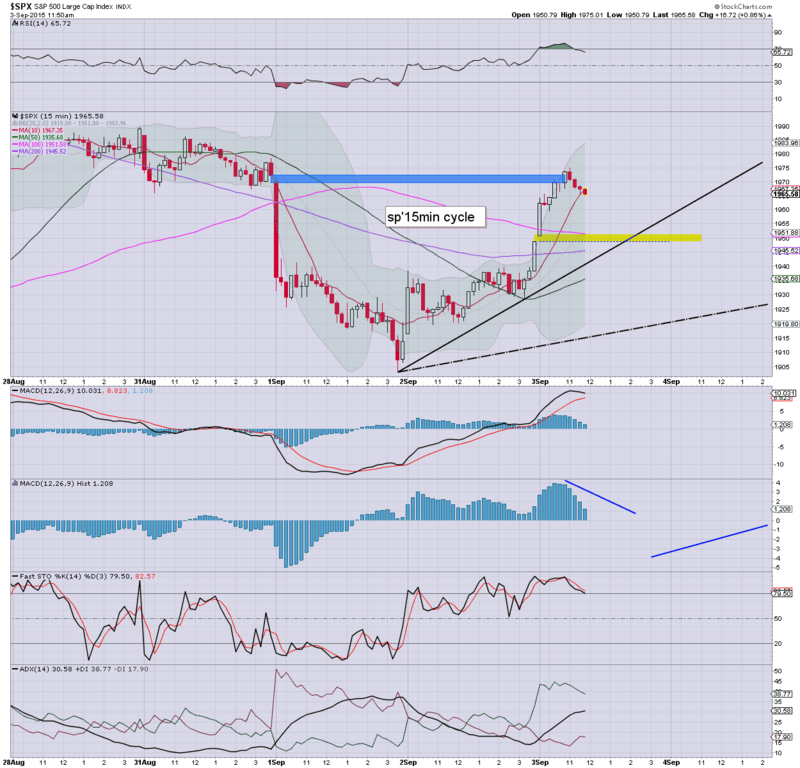 With a powerful retrace from sp'1993 to 1903 now arguably confirmed after today's gains, there can be some confidence that the market will broadly rise into the next FOMC of Sept'17th. 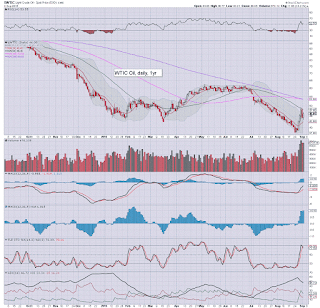 The only issue is where might the market get stuck... 2010, 40/50s, 70s.. or a fake out around the 2100 threshold. 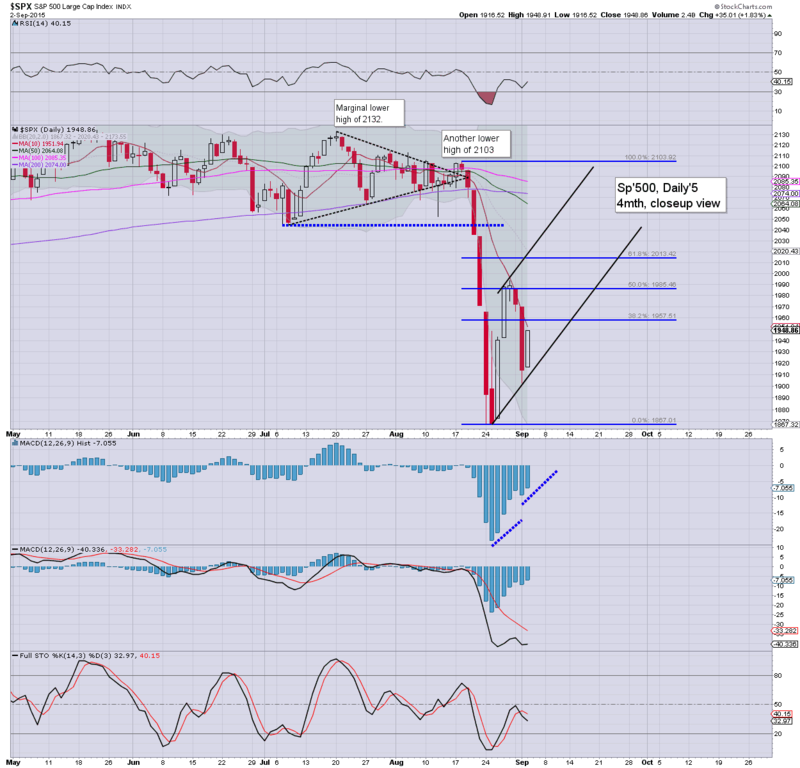 Suffice to note.. a second consecutive candle with a spiky floor.. suggestive of further upside in the near term. 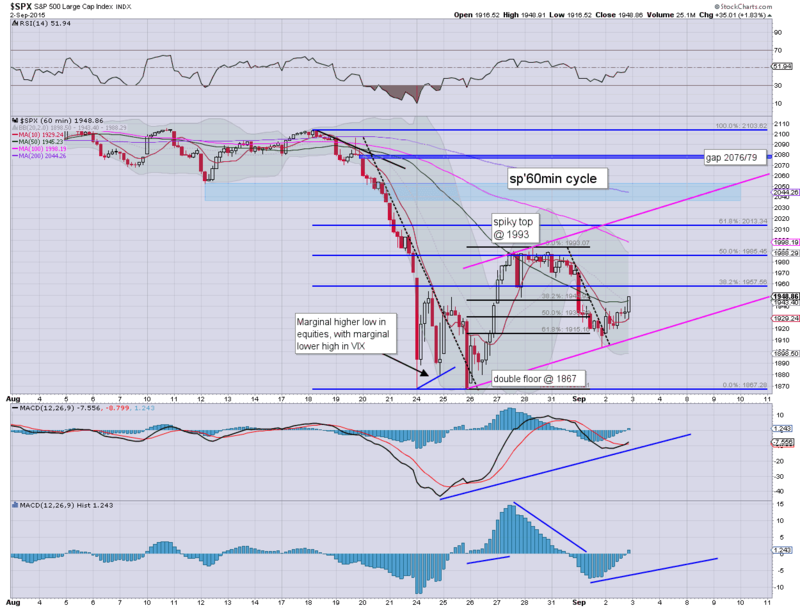 The weekly 10MA will be offering resistance around 2020/10 in FOMC week. A brief push above 2020 looks viable... but I find it difficult to envision sustained action above 2050/70. re: China. A daily reversal candle to end the short week (China is now closed until next Monday)... the daily MACD (green bar histogram) is set to see a bullish cross next Mon-Wed', and that does offer upside to around 3600 in about 7-10 trading days. From there... 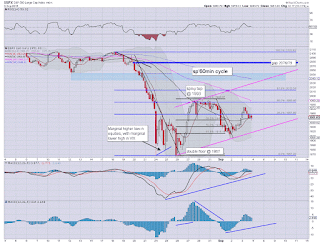 I expect another major rollover.. with revised primary downside to the 2500/2000 zone. 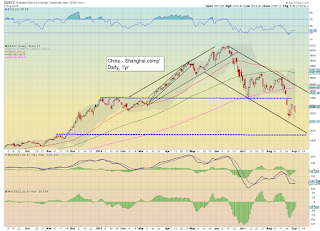 Again, it has to be asked, if the Shanghai comp' does collapse ALL the way back to the summer 2014 starting point of 2K... how will the communist leadership react? How many media or bearish traders will... disappear? 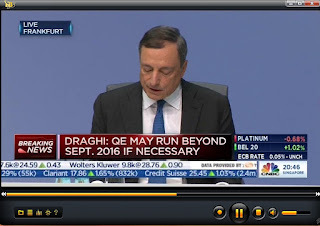 Primary issue will be the latest ECB meeting.. with Draghi hosting a press' conf' around 8am EST. Data: weekly jobs, intl. trade, ISM/PMI service sector. 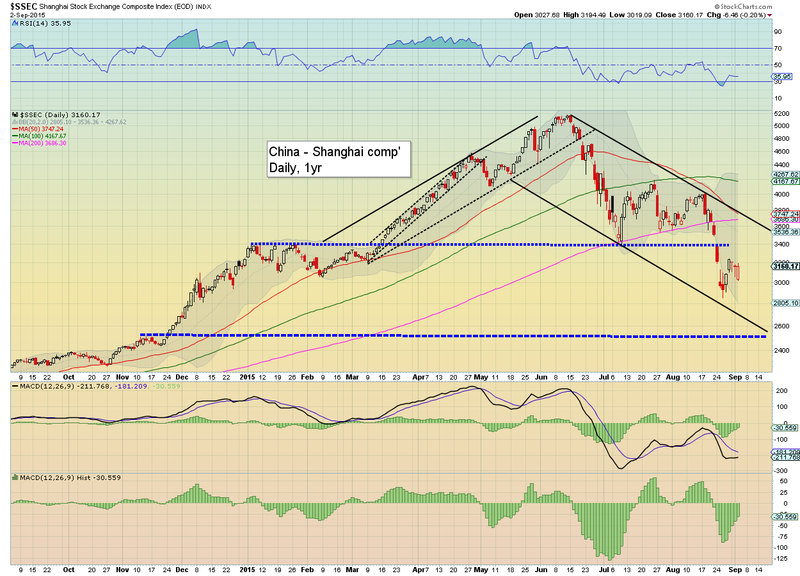 It would seem we have confirmation that the move from sp'1993 to 1903 was a retrace.. if a very powerful one. 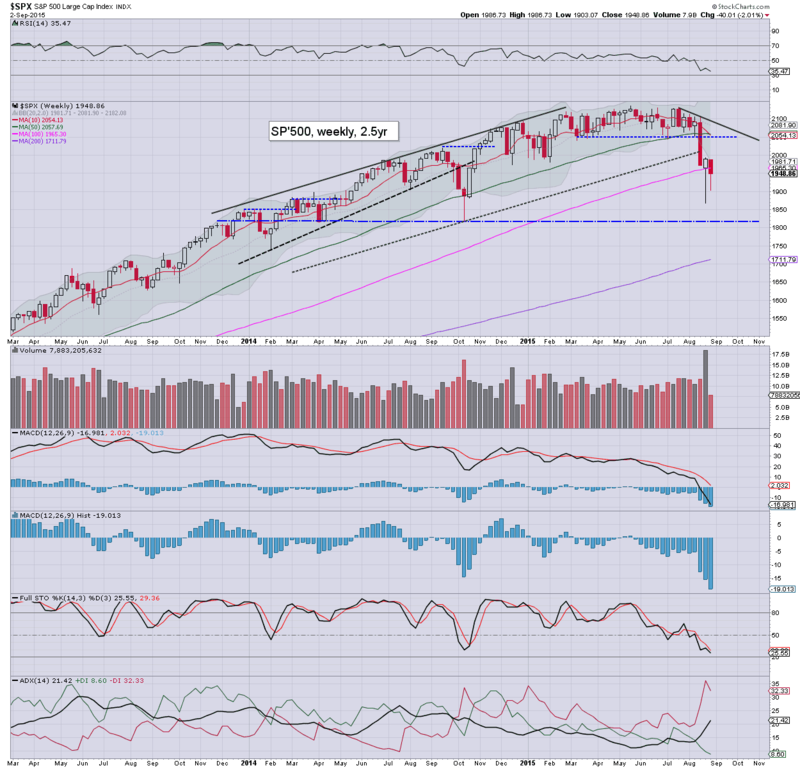 All indexes look set to break above last weeks highs... whether by this Friday... or sometime next week. Best guess... sp'500 to max out somewhere in the 2010/2050 zone by the next FOMC of Sept'17th. *I hold long-AAPL overnight, with no interest to short the market until FOMC week.